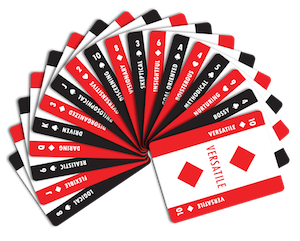 Personality Poker®: The Playing Card Tool for Driving High-Performance Teamwork and Innovation is unlike any other book. And now you can get a case of them for less than the cost of one copy on Amazon.com! Yes, the book is jam packed with examples and scientific studies on teamwork, collaboration and innovation. This is the third in a series of videos about Personality Poker. Today I discuss why the Golden Rule is bad advice. You can pre-order the book now. Each book comes with a deck of the specially designed poker cards.